Awesome place and great customer service. Michael Wood with the Internet Sales team took incredible care of me and helped me surprise my wife with a beautiful 2017 QX80 for Christmas. I was able to purchase the truck without ever having to step foot on site. He gave me a fair price for our trade-in, site unseen. The truck was delivered to me perfectly detailed right before Christmas and then picked up our trade after Christmas allowing me to completely surprise my wife. They even sent me a giant red bow for Christmas morning. Tess over at the paperwork department was also great! She was super sweet, and crazy efficient! Mr. Patterson delivered and picked up our vehicles and was great as well. He was kind enough to work with my schedule and deliver exactly when I needed. He even waited down the street for 20 minutes for my wife to leave for work. Overall it was an awesome experience and I would go out of my way to shop here again. 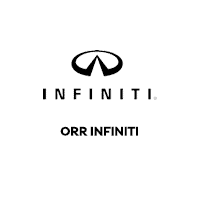 Located in Shreveport, LA, Orr INFINITI is proud to be one of the premier dealerships in the area. From the moment you walk into our showroom, you’ll know our commitment to Customer Service is second to none. We strive to make your experience a good one, not only when shopping for a new or pre-owned vehicle, but for the life of your vehicle as well. Whether you need to Purchase, Finance, or Service a New or Pre-Owned INFINITI, you’ve come to the right place. Visit us at 8727 Business Park Drive, Shreveport, LA 71105, call 318-797-0700, or fill out our purchase inquiry for your No-Obligation Price Quote. We would love for you to give us the chance to exceed your expectations!